I live on the eastside of Los Angeles and my favorite part about living on this side of the city is the close-ish proximity to Chinatown and San Gabriel Valley. Chinese food is one of my favorite foods of all time and bubble tea (milk tea) is at the very top of my list. It’s a Taiwanese drink by origin, but you can often find it in Chinese shops and Chinatown neighborhoods. Whenever we go for Chinese, we’ll usually got to a movie too and the pre-movie stop is always, always bubble tea. I usually get the classic milk tea, which uses black tea, but feel free to do this with green tea too. Up until recently I’d never thought of making it at home but it’s SO easy and the best part is that I can make it with another type of milk—it’s delicious with almond milk. 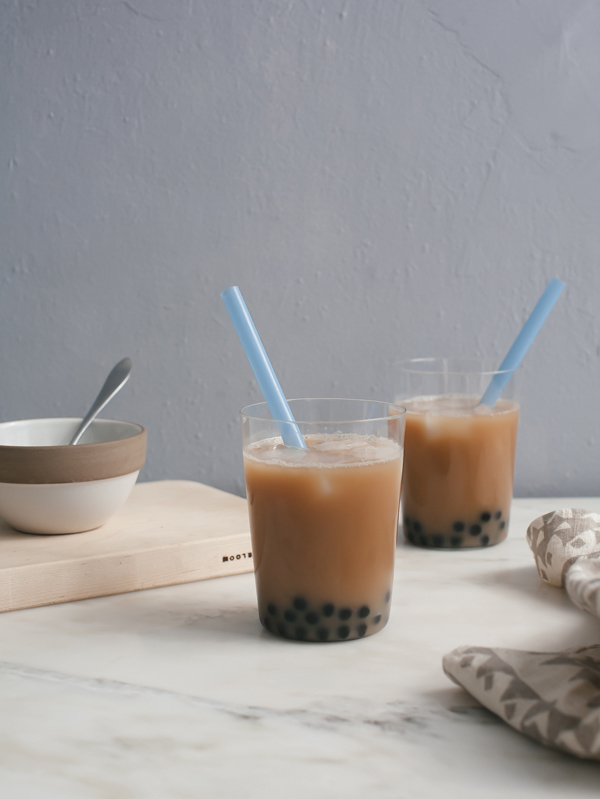 You can buy black tapioca pearls at asian supermarkets and there are a few places online you can find them too. To make the boba: follow the directions on the back of the bag of boba. 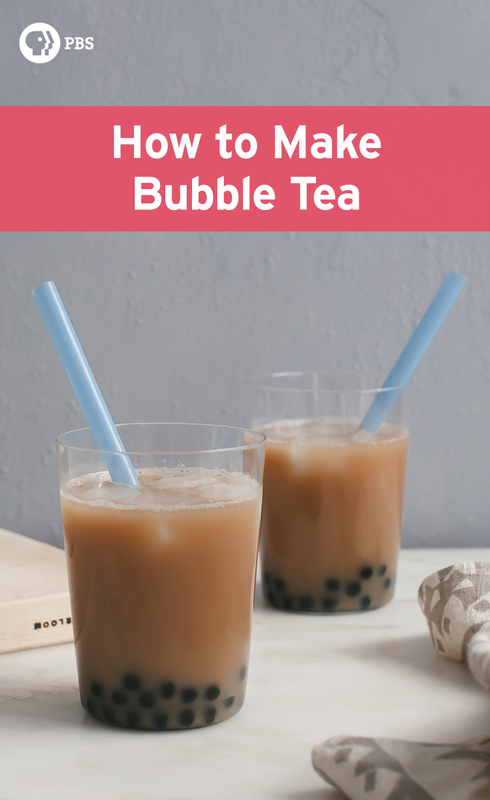 Mine were quick-cook boba and the directions were spot on. In a small saucepan, combine the sugar and water and heat until the sugar dissolves. Drain the tapioca pearls and rinse with cool water to stop the cooking and then transfer to (my favorite) the brown sugar syrup. I find that boba tastes the best just after it’s made so please use your own discretion as to when you should start the process. Bring the water to a light boil. 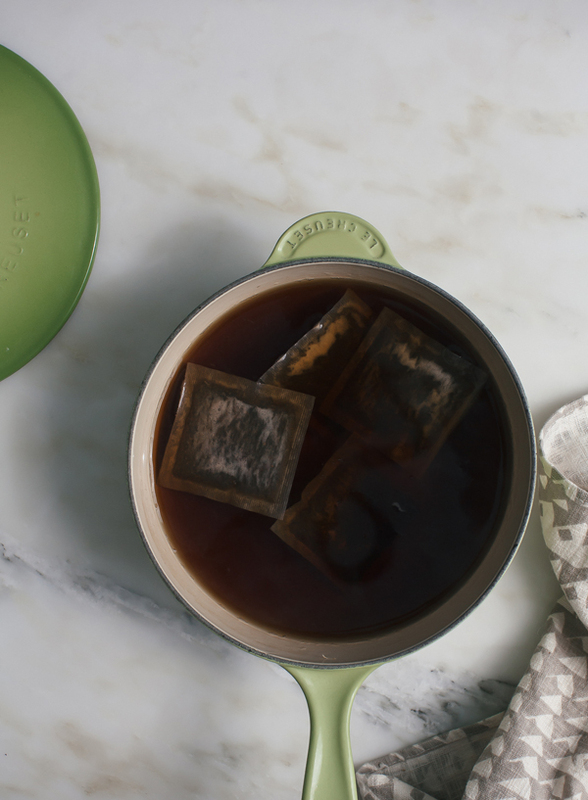 Turn the heat off and add the black tea bags. Stir in the sugar. Allow to steep for 5 to 7 minutes. Allow to cool completely. 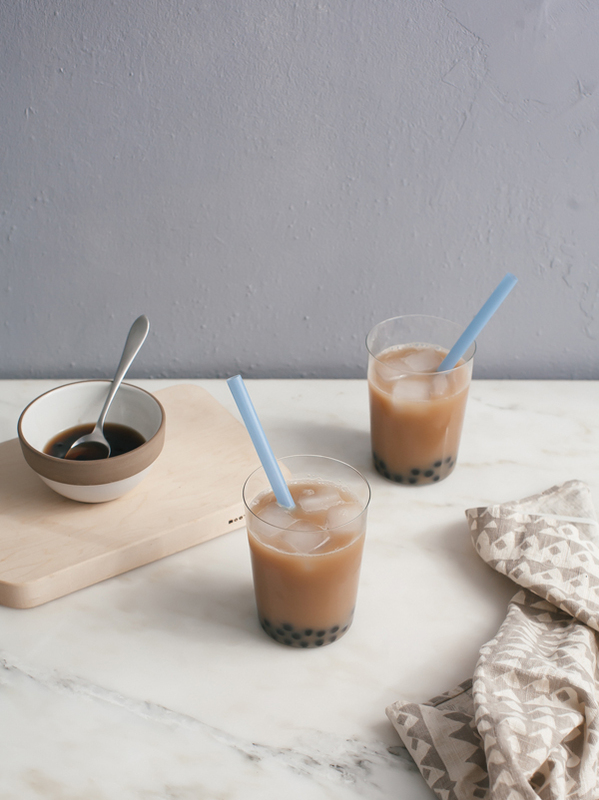 To assemble the milk tea: add a few spoonfuls of boba to the bottom of each glass. Top with ice cubes, about 1 cup of tea and about 1/4 cup of almond milk or whole milk (you can eyeball these measurements). 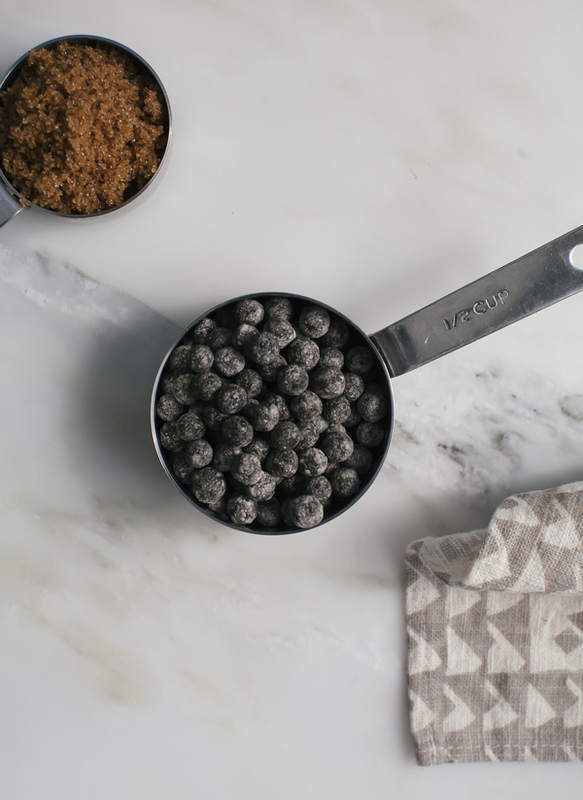 Stir and serve.